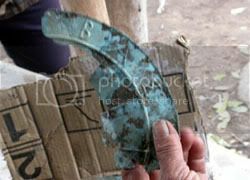 Its really frustrating for Skopjans always to discover ancient Macedonian archaeological findings which reveal the Greekness of Macedonians. ΣΛΑΒΟΙ ΞΥΠΝΗΣΤΕ!!!!!!! ΜΑΚΕΔΟΝΕΣ ΔΕΝ ΘΑ ΓΙΝΕΤΑΙ ΠΟΤΕ.ΕΙΣΑΣΤΑΝ,ΕΙΣΤΕ ΚΑΙ ΘΑ ΕΙΣΤΕ ΣΛΑΒΟΙ.ΠΙΟ ΠΑΝΩ ΗΘΕΛΑ ΝΑ ΓΡΑΨΩ MEANS ΚΑΙ ΟΧΙ MINDS.ΤΑ ΑΓΓΛΙΚΑ ΜΟΥ ΔΕΝ ΕΙΝΑΙ ΚΑΙ ΠΟΛΥ ΚΑΛΑ. Below you see some of the Alexander’s private guard, all names has an etymological explanation in Greek languish! Do you understand any of those mister igor? Do you understand what means Alexandros, Filippos, Olympiada? Because there it is a meaning! TO IGOR.OK.MACEDONIAN SPOKE GREEK WAS THE LANGUAGE OF THE TIME EG LIKE ENGLISH IS TODAY.THE GODS,THEIR NAMES,CITY NAMES, ITS SAMES WITH OTHER GREEKS. THE OLYMPIC GAMES ITS ONLY FOR GREEKS.WHY FILIPPOS MEANS?THE NAMES 1)FILLIPOS 2)ALEXANDER 3)ANTIPATROS 4)OLIMPIADA 5)PAFSANIAS WHAT THEY MEAN? IGOR ΕΠΕΙΔΗ ΒΑΡΙΕΜΑΙ ΝΑ ΓΡΑΦΩ ΑΓΓΛΙΚΑ ΣΤΑ ΓΡΑΦΩ ΣΤΗ ΓΛΩΣΣΑ ΠΟΥ ΓΡΑΦΑΝΕ ΣΤΗΝ ΑΡΧΑΙΑ ΜΑΚΕΔΟΝΙΑ.ΤΗ ΜΑΧΗ ΤΗΣ ΧΑΙΡΩΝΕΙΑΣ ΤΗΝ ΕΧΩ ΑΚΟΥΣΕΙ. ΕΧΩ ΑΚΟΥΣΕΙ ΚΑΙ ΓΙΑ ΤΟΥΣ ΑΛΛΟΥΣ ΕΜΦΥΛΙΟΥΣ ΜΕΤΑΞΥ ΤΩΝ ΚΡΑΤΩΝ-ΠΟΛΕΩΝ ΟΠΩΣ ΜΕΤΑΞΥ ΑΘΗΝΑΣ-ΣΠΑΡΤΗΣ ΚΑΙ ΑΘΗΝΑΣ- ΘΗΒΑΣ.ΕΧΟΥΜΕ ΤΟΣΟΥΣ ΠΟΛΛΟΥΣ ΗΡΩΕΣ ΣΤΗΝ ΕΛΛΑΔΑ ΠΟΥ ΤΑ ΑΓΑΛΜΑΤΑ ΤΟΥΣ ΔΕΝ ΧΩΡΑΝΕ ΟΛΑ ΣΤΗΝ ΑΘΗΝΑ. ΠΕΡΙΜΕΝΩ ΝΑ ΜΟΥ ΔΕΙΞΕΙΣ ΜΙΑ ΜΟΝΟ ΜΙΑ ΑΡΧΑΙΑ ΕΠΙΓΡΑΦΗ ΑΠΟ ΤΗ ΜΑΚΕΔΟΝΙΑ ΠΟΥ ΕΙΝΑΙ ΣΤΗ ΓΛΩΣΣΑ ΠΟΥ ΜΙΛΑΤΕ ΣΗΜΕΡΑ ΣΤΗ FYROM.THE SPAINS WHO WENT TO AMERIKA AFTER 1490 DON’T SAY IS AZTECS, INKAS,MAYAS OR APACHE.ΕΣΤΙΝ ΟΥΝ ΕΛΛΑΣ ΚΑΙ ΜΑΚΕΔΟΝΙΑ.ΕΣΕΙΣ ΕΙΣΤΕ ΣΛΑΒΟΙ. Yep but what do Slavs have to do with ancient Greek civil wars? 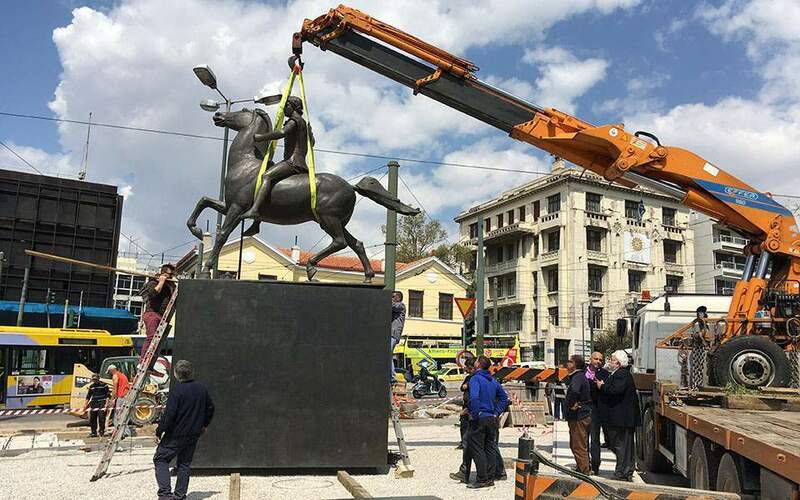 did you ever ask your self why in greece there is no mounument of aleksandar exept one very small in Thessaloniki,try to put one in athens…did you ever heard for batlle of HERONEA?? ΕΝΤΑΞΕΙ ΘΑ ΠΑΡΕΙΣ ΤΗΝ ΑΠΑΝΤΗΣΗ.ΣΤΗΝ ΑΡΧΑΙΑ ΕΛΛΑΔΑ ΥΠΗΡΧΑΝ ΠΟΛΕΙΣ ΚΡΑΤΗ ΟΠΩΣ Η ΑΘΗΝΑ, Η ΣΠΑΡΤΗ,Η ΚΟΡΙΝΘΟΣ ΚΑΙ Η ΘΗΒΑ.ΥΠΗΡΧΕ ΚΑΙ ΕΝΑ ΒΑΣΙΛΕΙΟ Η ΜΑΚΕΔΟΝΙΑ.ΣΤΗΝ ΟΠΟΙΑ ΕΓΡΑΦΑΝ ΕΛΛΗΝΙΚΑ(ΟΛΑ ΤΑ ΑΡΧΑΙΟΛΟΓΙΚΑ ΕΥΡΗΜΑΤΑ ΑΥΤΟ ΛΕΝΕ),ΕΙΧΑΝ ΤΟΥΣ ΙΔΙΟΥΣ ΘΕΟΥΣ ΜΕ ΤΟΥΣ ΥΠΟΛΟΙΠΟΥΣ ΕΛΛΗΝΕΣ(ΔΕΝ ΕΙΝΑΙ ΠΑΡΑΞΕΝΟ ΠΟΥ ΟΙ ΚΑΤΟΙΚΙΑ ΤΩΝ ΘΕΩΝ ΗΤΑΝ ΣΤΟΝ ΟΛΥΜΠΟ?ΔΗΛΑΔΗ ΣΤΗ ΜΑΚΕΔΟΝΙΑ? 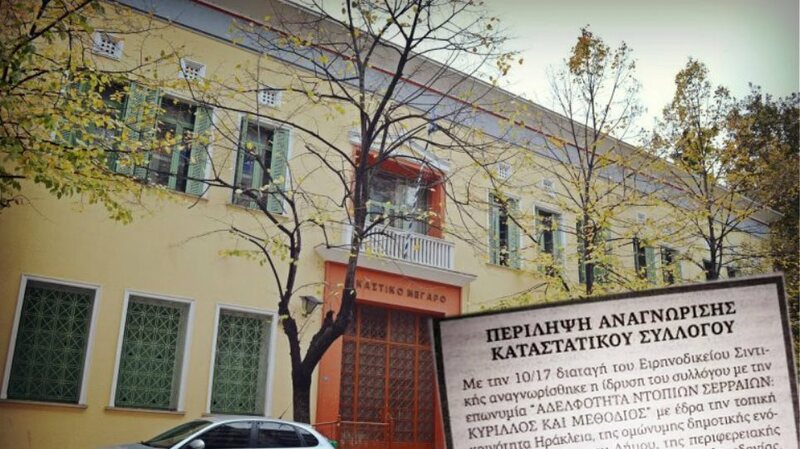 ).ΤΑ ΟΝΟΜΑΤΑ ΤΟΥΣ ΗΤΑΝ ΕΛΛΗΝΙΚΑ.ΤΑ ΟΝΟΜΑΤΑ ΤΩΝ ΠΟΛΕΩΝ ΕΛΛΗΝΙΚΑ.ΟΙ ΙΔΙΟΙ ΛΕΓΑΝΕ ΟΤΙ ΚΑΤΑΓΟΝΤΑΝ ΑΠΟ ΤΟΥΣ ΤΗΜΕΝΙΔΕΣ(ΠΕΛΟΠΟΝΗΣΟΣ).ΣΤΟΥΣ ΟΛΥΜΠΙΑΚΟΥΣ ΑΓΩΝΕΣ ΜΕΤΕΙΧΑΝ ΜΟΝΟ ΕΛΛΗΝΕΣ.ΟΙ ΑΛΕΞΑΝΔΡΟΣ Α’ ΚΑΙ Ο ΦΙΛΙΠΠΟΣ ΓΙΑΤΙ ΠΗΡΑΝ ΜΕΡΟΣ ΑΦΟΥ ΔΕΝ ΗΤΑΝ ΕΛΛΗΝΕΣ?Ο ΑΛΕΞΑΝΔΡΟΣ Α’ ΣΤΗ ΜΑΧΗ ΤΩΝ ΠΛΑΤΕΩΝ ΩΣ ΥΠΟΔΟΥΛΟΣ ΤΩΝ ΠΕΡΣΩΝ ΠΗΡΕ ΜΕΡΟΣ ΣΤΗ ΜΑΧΗ ΣΤΟ ΠΛΕΥΡΟ ΤΩΝ ΠΕΡΣΩΝ.ΤΟ ΒΡΑΔΥ ΠΡΙΝ ΤΗ ΜΑΧΗ ΑΠΟΚΑΛΥΨΕ ΤΑ ΣΧΕΔΙΑ ΤΩΝ ΠΕΡΣΩΝ ΣΤΟΥΣ ΣΤΡΑΤΗΓΟΥΣ ΤΩΝ ΕΛΛΗΝΩΝ ΛΕΓΟΝΤΑΣ ΠΩΣ ΚΑΙ ΑΥΤΟΣ ΕΛΛΗΝΑΣ ΗΤΑΝ.ΔΙΑΒΑΣΕ ΣΤΗΝ ΑΓΙΑ ΓΡΑΦΗ ΣΤΙΣ ΠΡΑΞΕΙΣ ΤΩΝ ΑΠΟΣΤΟΛΩΝ,Ο ΑΠΟΣΤΟΛΟΣ ΠΑΥΛΟΣ ΟΤΑΝ ΜΙΛΗΣΕ ΣΤΗ ΘΕΣΣΑΛΟΝΙΚΗ ΣΕ ΠΟΙΟΥΣ ΜΙΛΗΣΕ.ΥΠΑΡΧΕΙ ΣΤΟ SITE ΤΗΣ ΕΚΚΛΗΣΙΑΣ ΣΑΣ. Dear Lies and more Lies, I will tell you something that is not a lie. All educated people on this planet wish that they were Greeks. So do you. I myself, have no objection to this. It is not blood, I believe, that makes someone a Greek. It is the language and only the language, nothing else. So, learn Greek and your children and much more your grand children will be proud of you. They will be proud that they are Greeks. Remember, the language, nothing else. Some people have said that Macedonians were barbarians and they became Greeks when they learned the Greek language. 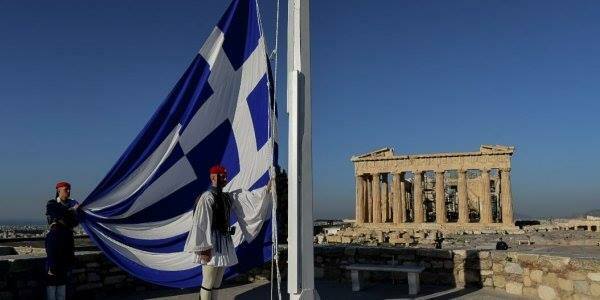 I hope some day you make the Greek language the official language of your beautyful country. If we list all innocent Bulgarians killed by the Greek bandits (andartes) at the end of 19 century and beginning of 20th century, for every name in your list there will be 1000 Bulgarians. Whole Bulgarian towns and villages were destroyed and their Bulgarian population killed by the Greek murderers. Names like Zagorichani, Kukush, Gorno Brodi became notorious to the international community because of the inhuman attrocities of the andartes against old people, women and children. it is funny that for thousands of years there has never been anything found that shows a lang. other then Greek in any documents, archeaological digs, in F.Y.R.O.M. or should i say VARDAR.Even the Old and New Testaments say the Macedonians are Greek , so which of you are ready to argue with the word of GOD. before you you were told that you were Macedonians. Greeks knew they were Greeks -- that’s why they spoke Greek at home and kept their religion and national identity. but also spread the Greek culture and religion wherever they went. It’s their fault the New Testament was first written in Greek. Why was your country known an as something else til recently? Macedonians were always speaking Greek? And why do you think FYROM (Yugoslavic Macedonia) who speak in a Bulgarian dialect is speaking real Macedonian???? Greece fought to free the Greeks of Macedonia from the Turks and the Bulgarians. There were no Macedonian nationals counted in any Turkish sensors during the Ottoman Empire. When did you guys become Macedonian nationals? Only Greeks, Turks, Bulgarians, Serbs, Vlachs and Aromanians. But of course, back then you guys were calling yourselves Bulgarians -- ethnically. 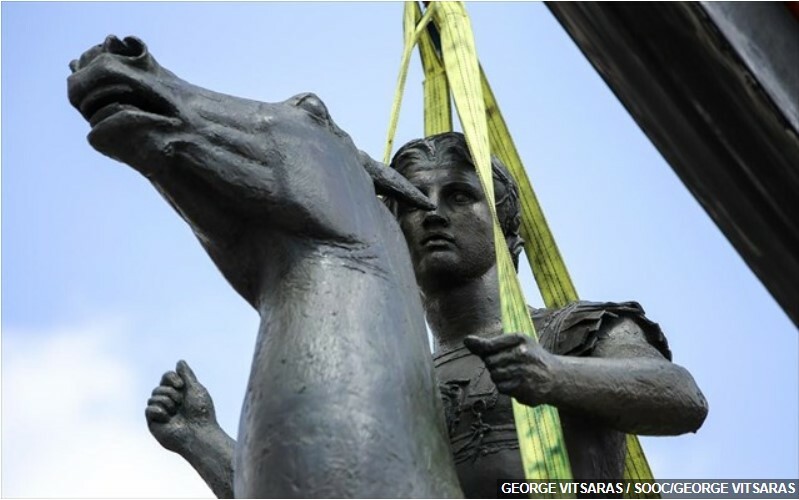 claiming Alexander the Great and his Hellenic (Greek) empire -- see the national FYROM airport name change. Dear Lies & more lies, firs of all congratulations on the very descriptive name you chose to write under: VERY TELLING of your country’s modus operandi! You live a Big Lie, and to perpetuate the BIG LIE you need to continuously come up with : Lies and more lies! Your arguments show an unusual lack of intellectual depth. A. Why FYROM and not just republic of Macedonia? Two resonas: first because you accepted to use this name in international fora. Over the years all your efforts are trying to negate that signature of yours, but it is not going to happen at the end. Your nose is getting bruised by the doors that close on your face, and no matter how many countries recognize you, you still have to get the one recognition you most desperately need: the people who have the port of thessaloniki and hold the keys to the doors of the EU. Secondly: while Greeks resented the fact that the name Macedonia was given to the Yugoslav province so called socialist rep of Mak., the reality was that it was simply a province of a country. Once you tried to bring that into the international arena as Rep of Mak. you found our reaction in your doorsteps, and you have to decide what is more important to you: to live your BIG LIE about being descendants of the ancient Greek-speaking true Macedonians, or accept your place in the proud league of modern nations as a Slavic and Albanian speaking country? 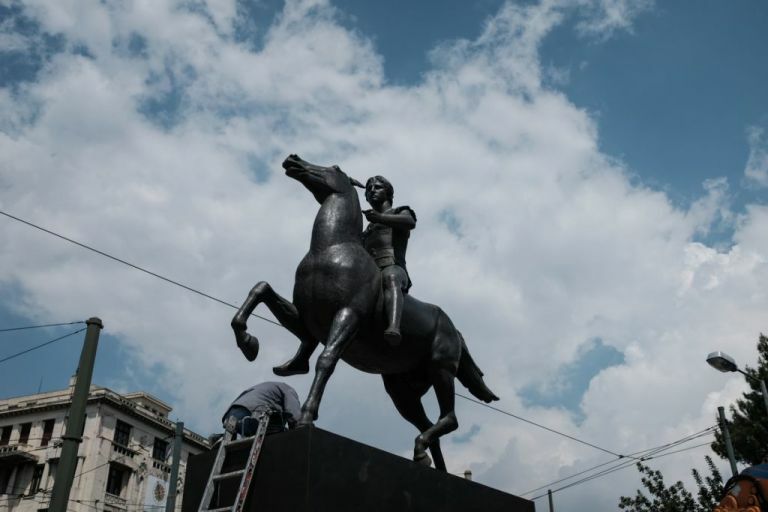 You ask: why Greece does not have more of Macedonia? What are you asking? Is this an invitation for Greeks to invaded you? We are neither Turks nor Kossovars…that part of the land belongs to you. Greeks did not win that from the Ottomans, only what we have now. Now if you want to be magnanimous, all you ahve to do is ask the Serbs come and take over your place, since it rightfully belongs to them for having won if through their arms and blood from The ottoman Turks. Then you can revert to your proper name? Vardarska banovina and no name issue ill be between us. also if macedonia is greek then why does’nt the greek country hold more of macedonian territrry .Why because it can’t get more.The real truth & fact that is greece only holds a portion of macedonia It was split up to 4 countries. Fyrom (former yugoslav republic of macedonia)Why not just republic of macedonia? ?because you have a problem with that. If macedonia is greek & why did they fight in the 1912 balkan wars.Also why did the turks hold on to macedonia for 500 years & call the macedonians.Someone is lying here & it’s the greek govt to it.s citizens. 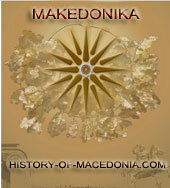 Macedonians spoke greek not because they were greek but it was the language of the time eg like english is today. ok why did all the other "countries" in the are speak other languages besides greek, if it was the language spoken at the time. america, australia, newzealand all speak english BECAUSE THEY WERE PART OF ENGLAND hence why macedonians spoke greek because it was part of greece and still is today. look at the original borders of the hellenic state and you will seee they lay in the borders of greece today. you get told one thing but dont bother to read into it hence the problem with alot of people like you. there were no such people in those days as "greeks" they were the hellenic race, and what ddefined them as such was the language, culture, and who colonized the area. the borders were expanded by the romans to consume a larger area so that there could be one provincial govenor to a larger area and paying that person less money. hence the roman empire.